Neptune brand positive displacement flowmeters, trusted for decades in critical industrial processes and all stages of petroleum and LPG custody transfer, have an established reputation for accuracy and dependability. Red Seal Measurement is proud to offer the Neptune product line. Because we’re confident that our meters are the best in the business, we’re extending the warranty on all of our positive displacement meters to three years from the date of installation (or 42 months from date of shipment). There are no restrictions on quantity or configuration, and no requirement to buy additional components. We value the trust you’ve placed in our products. 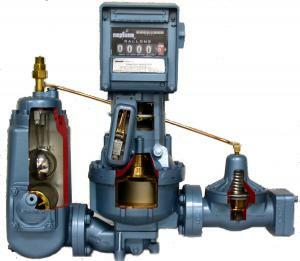 Let Neptune meters repay that trust with the peace of mind that guaranteed quality can provide.